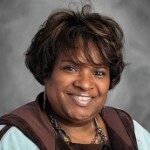 Sheila D. Milam-Savoy is the always excited and proud Pre-K teacher here at St. John’s School! She is even prouder to say that she has been at St. John’s School since the initiation of the Pre-K program. She is a graduate of Bowie State University where she earned a dual degree in Early Childhood/Special Education. She is currently working towards obtaining her Masters of Education in Early Childhood through Trinity University. She has been married to her high school sweetheart for 19 years (together for 26) and we have 2 very handsome boys. She is a RAY-vens fanatic. She loves Ray Lewis, which has led to her love of the Baltimore Ravens. In her spare time when she is not doing lesson plans and creating anchor charts, she loves to spend time with her family, get mani’s and pedi’s and eat crabs. Her philosophy in teaching is, “to teach them, you must reach them”. Mrs. Vernon has been a part of the St. Johns family since 2013. 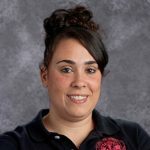 She moved here from Connecticut where she taught in Massachusetts for 4 years teaching both Pre-Kindergarten and Third Grade. 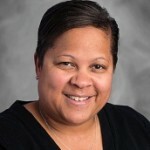 Mrs. Vernon graduated from Westfield State University with her Bachelor’s Degree in Early Childhood Education and completed her Master’s Degree as a Reading Specialist through Loyola University Maryland. Mrs. Vernon wants all of her students to find the same passion for reading as she has! Ms. Amanda is the 1st Grade Para Professional and 1st Grade Religion teacher here at St. John’s. St John’s is a family school for Ms. Amanda, as she’s a graduate of St. John’s, where she attended Kindergarten thru Eight Grade. Ms. Amanda and her family are also parishioners at St. John’s Church, where she has been involved in the Church and the school all her life. She is a graduate of Bishop McNamara High School in Forestville, Maryland. This is her first year teaching, and she has fallen in love with teaching and the children. She is currently attending school working on her Bachelors in Early Childhood Education with a minor in Special Education. 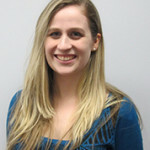 After completing her Bachelors, she will begin to work towards her Masters in Special Education. 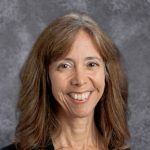 Mrs. Ciaravella previously taught Pre-K for two years in DC and then went back to school and earned her Master’s in Education and Human Development at The George Washington University. She absolutely loves teaching 2nd grade and finding new ways to make learning fun for all of her students. She is originally from Florida and moved to DC four years ago. She now lives in Virginia with her husband and their dog, Tito. 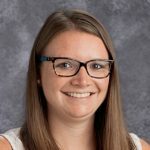 After graduating from Mount Saint Mary’s University, Mrs. Whitworth joined the Saint John’s community as the Junior High Math and Science teacher. She then moved to the third grade position and has been the third grade teacher for two years. In her free time, Mrs. Whitworth enjoys spending time outside with her Retriever mix pup that she rescued from a local animal shelter. Mrs. Jarboe has been a part of a sport team since age 4. She has always enjoyed group activities and being on a team. She has a B.S. in Physical Education and Sports Administration/Coaching from Washington Adventist University. 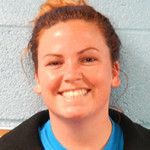 In college, Ms. Wright also played NCAA Division II Soccer and Softball where she was an Academic All American. In her free time she enjoys coaching softball at Elizabeth Seton High School. 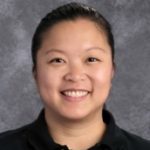 A graduate of Long Island University, Mrs. Butler started her teaching career 16 years ago on the Pacific island of Saipan. She then spent several years at St. Bernard’s School in Riverdale. After the closing of St. Bernard’s, Mrs. Butler found a new home at St. John’s, where she has spent the last 9 years as the 5th grade teacher. 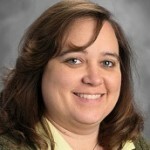 She has been the recipient of both the St. John’s Teacher of the Year award and the Archdiocesan Golden Apple Award. In her free time, Mrs. Butler enjoys spending time with her family and spends every summer desperately trying to improve her gardening skills. She has her advanced SCUBA certification and loves to travel as long as the destination is warm and sunny! 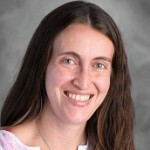 Mrs. Keller graduated from the University of Maryland (go Terps) with an education degree in 2002. She received her graduate certificate in Professional Teaching Standards from George Washington University a few years later. 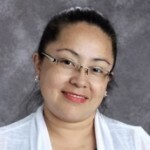 She has been in the classroom for 14 years and especially loves teaching math and science. Mrs. Keller likes entertaining family and friends at her house while enjoying good food and Redskins games! She also spends her free time organic herb and vegetable gardening. Dr. Ross earned her doctorate in mathematics education at University of Arizona in 2011. 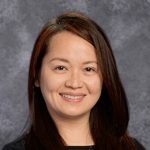 Prior to that, she completed the Single Subject (Mathematics) Credential Program at San Francisco State University and taught middle school mathematics at a K-8 Catholic school in California (4 years) and a Catholic middle school in North Carolina (6 years). Subsequent to earning her PhD. 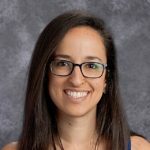 she worked on an NSF-funded STEM high school research study from 2011-2014 at George Washington University, and again taught middle school mathematics at a K-8 Catholic school in Virginia the last three years. 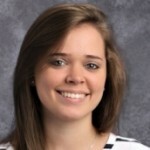 She recently moved to Maryland and is excited to be teaching at St John the Evangelist beginning in the 2018-19 school year. Her main interest, the subject of her dissertation, is early Algebra (before the formal study of high school Algebra). 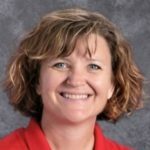 She has 10 experience teaching Algebra 1 to 8th graders, and one year experience teaching the course at a public high school (student teaching and long-term sub). Dr. Ross likes gardening and hiking and spending time with her two grown children who both live in Maryland. She has been a Warriors fan since the time she lived in the San Francisco area, and also follows the Hokies since she earned her bachelor’s degree from Virginia Tech. Mrs. Kadajski has been a member of the St. John’s community for many years. She is the proud mother of three boys, who have all graduated from St. Johns School. 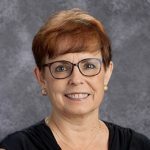 Mrs. Deidre’ (Dee) Le Grand has taught varied core subjects for over 13 years within the Parochial, private, and public school systems. For the past two years, she has enjoyed teaching Music across the content areas, planning Mass services, and holding auditions while planning a memorable Christmas program. 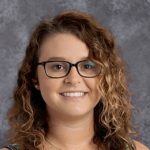 As a Psychology major from the University of Maryland Baltimore County, she found enrichment through Musical Theatre, Vocal Training, and Elementary Education. 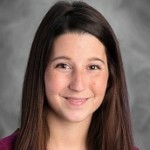 As she pursues her Master’s in Education, she considers it paramount to connect with students in the classroom in order to remain relevant and well-versed about their needs and interests. Mrs. Le Grand believes every child should be taught as if he/she was your own. She loves to encourage students to become all that their parents have prayed and sacrificed for. 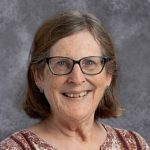 She looks forward to assisting children in understanding and enjoying Music from God’s perspective while delving into the richness of Music history and genres. Mrs. Wilson is a St. John’s alumni and a graduate of La Reine High School. She attended Pennsylvania State University where she received her Bachelors Degree. She was an assistant teacher for PreK, 3, and 4 for two years and has been at St. Johns for ten years. She is an active member of St. John’s Parish and both of her daughters graduated from St. Johns. Mrs. Wilson loves art history and tries to share that love with her students whenever possible. Mrs. Wilson is also the coordinator for our Community Service Club for our Middle School students. This group coordinates the Community Outreach activities for our school and has collected and sent items to various organizations around the world. This after school activity is a wonderful opportunity for our students to reach out and make a difference in the lives of people in our community, both locally and globally. Mrs. Rosalyn Yalung enthusiastically joins the St. John’s Faculty assuming the role as the School Nurse. 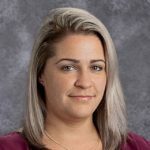 With 8 years of experience as a staff RN in a Level 3B Neonatal Intensive Care Unit, she looks forward to getting to know the wonderful and talented young people of St. John the Evangelist School. Anthony Ingram was born in Durham North Carolina; he is the oldest of five siblings. 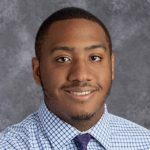 Mr. Anthony is the father of two boys, and enjoys attending youth football games. 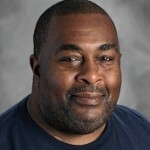 Mr. Anthony has been a part of the St. Johns community for the past nine years. Mr. Brett has taught STEM Robotics since 2008 using the Lego, VEX and VEX IQ platform. 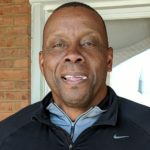 He served 34 years as an Accountant, Computer Programmer, Computer Systems Analyst, Software Engineer and Accessibility Engineer in the Federal Government. He earned his degree in Commercial Science with an emphasis in accounting in 1974. He immediately went to work for the Federal Government. He served as an Operating Accountant and then Systems Accountant for 6 years. 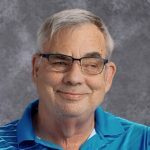 Mr. Brett became a Computer Programmer in the early 1980’s for 8 years and a Systems Analyst and Software Engineer for 14 years. 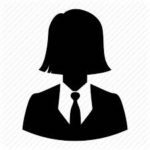 In the late 1990’s Mr. Brett became a Accessibility Engineer responsible for insure that the software and electronic documents produced by the agency were usable by people with disabilities. Ms. Gillespie has been in Catholic Education for 20 years. She first began her teaching career teaching 1st grade. She then came to St. Johns School in 2000 to teach 3rd grade. 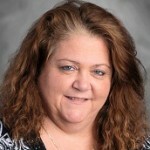 She served as the Assistant Principal and the Middle School Administer up until the past year. She is very excited in her new role and has implemented many new initiatives in accordance with the school’s mission of Academic Excellence, Social Development and Religion Formation to bring St. Johns School to a new competitive level. 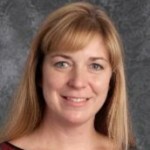 Ms. Gillespie has a Bachelor of Science degree from Northern Arizona University and a Master of Science in Curriculum and Instruction. Her entire career has been with the Archdiocese of Washington and is truly committed to Catholic Education. 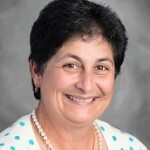 MaryJane Fratantuono-Harris has been Development Director at St. John’s since 1997. Development comprises of budget, accounts payable, collections, Admissions and special events. Before joining the St. Johns family Mrs. Harris was the lead Budget Analyst for Prince George’s County Child Support for 21 years. A graduate of LaReine High School Mrs. Harris has lived in Clinton since 1973. Mrs. Harris is married with two children whom are both alumni of St. John’s. Mrs. Harris is also a proud grandparent to her two wonderful granddaughters. An awesome dog Maxwell also is a part of her household. It is a pleasure working at St. John’s School, it is a warm, inviting school with excellent academics.